The older my children get, the more I can clearly see the importance of some sort of "anchor" in their lives. By an anchor I mean a skill and/or passion they can call their own - an area in which they can excel and develop their unique talent. Several months ago I wrote about how important it is to give your child an anchor. I had been contemplating anchors after a beautiful children's chorus performance. After a fabulous piano recital this past weekend, I got to thinking about anchors once again. This may seem like a "duh" to most people, but too often I think we encourage what WE love and not what our CHILDREN love. Anna went through a few things before piano. She took ballet lessons (but told me she really just liked getting dressed up and looking cute). Next came tennis, but that was short lived. During this entire time she had been taking piano lessons (a requirement in our house!) and steadily was getting better by the day. I knew she loved learning about musicals. She loved to sing and play instruments. 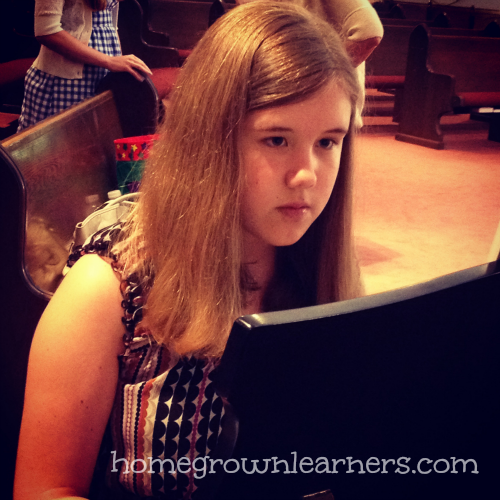 By simply cultivating this love, she naturally gravitated more to the piano. Now I don't ask her to practice. The first thing she does when we get home after being gone for a long time is go to the piano and PLAY. She is seeking out music on her own. She willingly shares her playing with others. At a recent piano judged piano festival, there were 8 children (out of 200) awarded a cash prize for exceptional artistry. Anna received one of those awards. Her piano teacher had set this as a GOAL for her. She has received Superior ratings at this festival for 5 consecutive years. 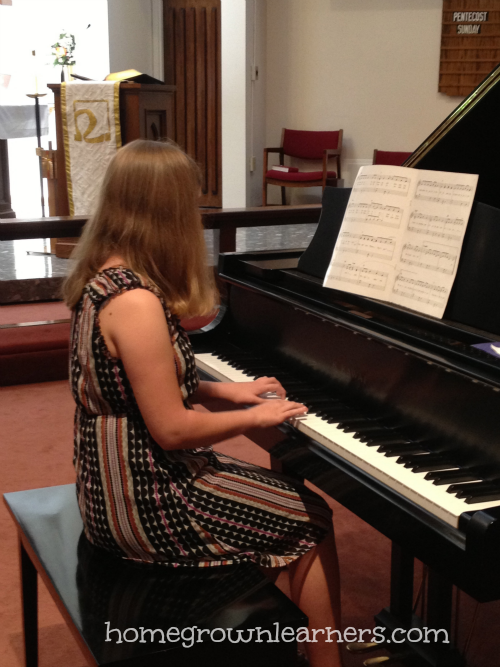 At each recital we can see her progressing into a wonderful musician. She is developing perseverance and stamina, and the last time I checked those are two extremely valuable skills in life. If your child has an interest where other children are present it's an added bonus. Knowing that other people share your passion makes you a part of a community. It builds friendships, understanding, and support. We all need that in our lives, and our children especially need it. Being a part of this small piano studio has made a huge difference in Anna's life. A few of the students are also educated at home, which builds further camaraderie. The children go to group theory classes and support each other. I'm very thankful for Anna's teacher, who is her first (and only) piano teacher. 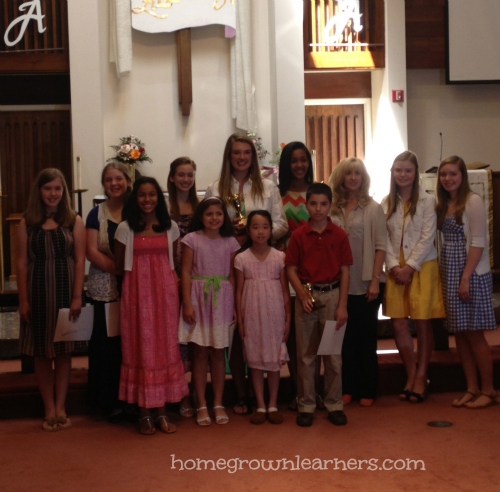 Since this blog is a place where I share homeschool ideas as well as preserve memories for my family, I needed to cement Anna's recital. Here are two pieces she played at the recital - Trumpet Tune and The Sorcerer. She also played an arrangement of Taylor Swift's Love Story, which she recorded herself and uploaded to YouTube. 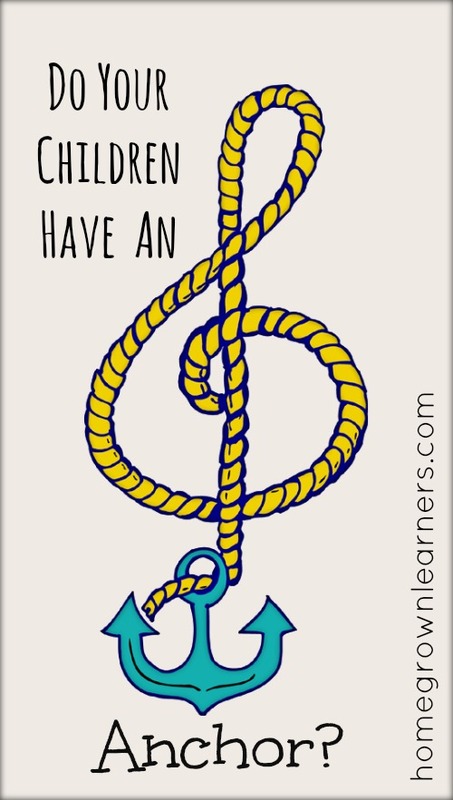 Do your children have an anchor? Was it an anchor they developed with your prodding, or did they choose it all on their own?